The academic sector is one of the most innovative and exciting areas of publishing to be working in today. It experienced its digital transformation years ahead of trade publishing, and changed much more fundamentally – electronic formats currently account for more than 75% of subscription revenues for UK journals, for instance, while estimates place digital revenues for trade publishers at just 20%. Now the sector is dealing with new challenges that have resulted from that transformation: most notably, the growing desire for Open Access publishing, and the need to justify the role of publishers within the academic ecosystem by playing a greater part in researchers’ lives. 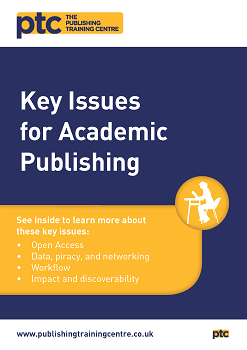 If you’re considering a career in academic publishing, this guide will be your introduction to the key issues you’ll face; if you already work in the sector, it will act as a useful reference to the rapidly changing context around you. Either way, it tells you what you’ll need to know in order to work effectively within the industry today.